Click on a show to learn more! What would you do for someone you love? When a quest to make art becomes all-consuming. Literally. At midnight, everything gets clocked up. What would you do to get what you want? LOVE LETTER LOST is an improvised, interactive, and occasionally inappropriate show that explores the outrageous things people do in the name of love. 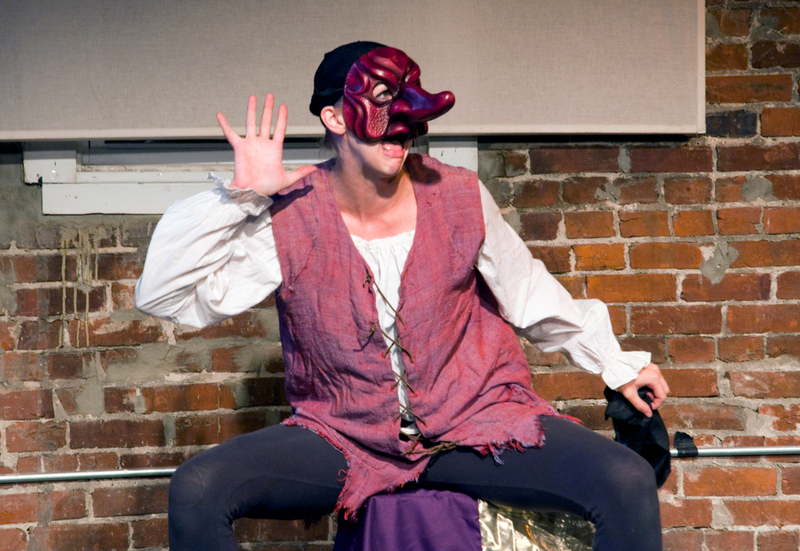 Tut'Zanni Theatre Company presents traditional Commedia dell'Arte with a modern twist in this original tale featuring feuding households, cross-dressing servants, a seafaring duo, and more. 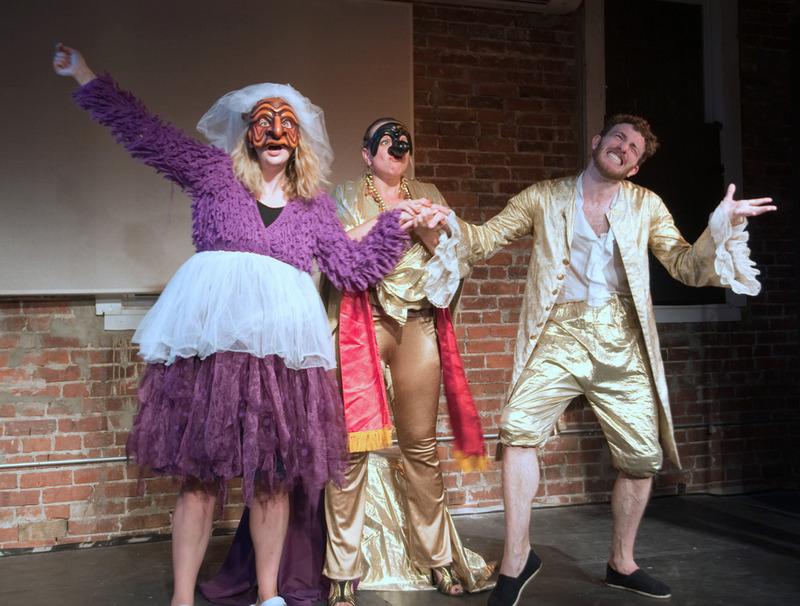 "FIVE STARS... Best of the Capital Fringe... everything a Fringe show should be: fast paced, highly entertaining, and a wonderfully comic way to spend an evening." "[I]f you’re looking for contenders for the best comedy Fringe has to offer, I think we may have just got beaten on our home turf by a gang of out-of-towners." 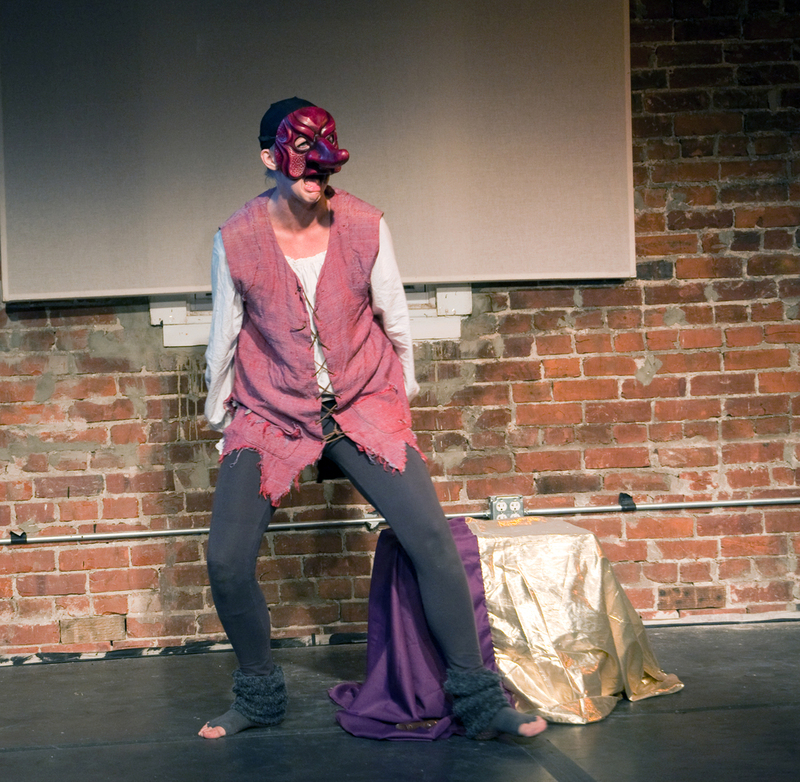 "...with [Tut'Zanni's] delightful breed of Commedia dell’Arte, they’re welcome visitors to this year’s Capitol Fringe Festival... they were clearly having just as much fun as we were. 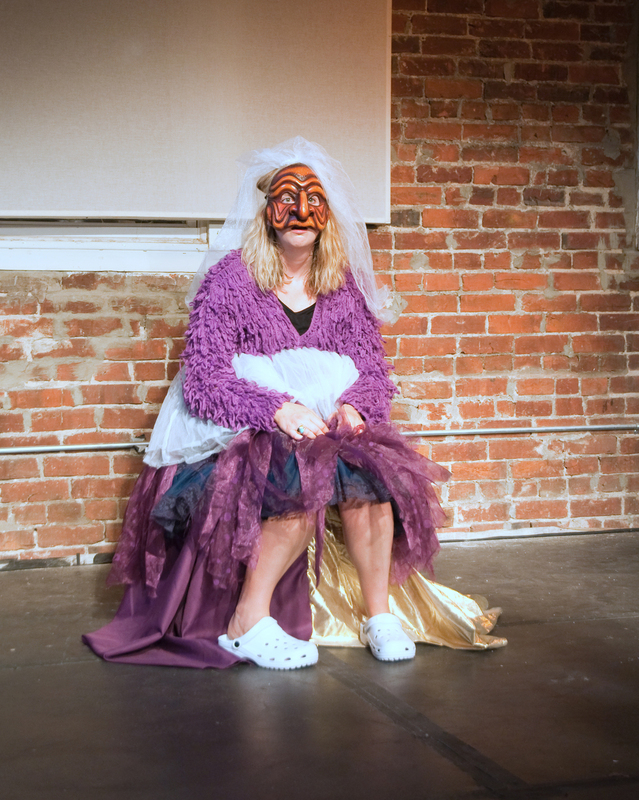 And that’s really the spirit that Tut’Zanni Theatre Company brings to their work – have a laugh, and enjoy yourselves." Click here to download a copy of the press release for Love Letter Lost. When a quest to make art becomes all-consuming. Brighella’s theatre company is trying to put up their show but a million things go wrong. Through prima donna actors, money-hungry venue owners, and plain old-fashioned chaos, this play explores the relationship between art and money, and what that can mean to artists. 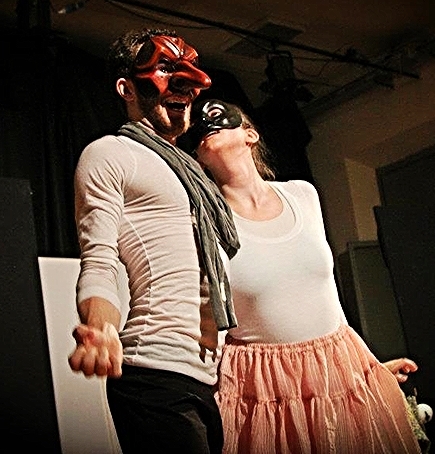 Art for Sale uses various theatrical forms, including Commedia dell’ Arte and neutral mask, music, shadow puppetry, dance, and acrobatics in what is a spectacular exploration of heart and expression that illustrates the struggle and satisfaction of being an artist. 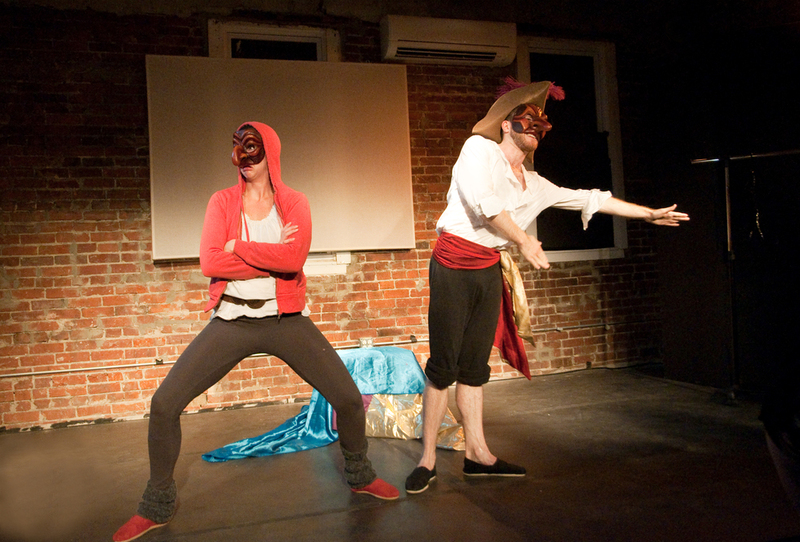 Art for Sale, the first show created by Tut'Zanni Theatre Company, was workshopped in Los Angeles in 2011, then was performed in Arezzo, Italy at the CrisisArt Festival and at the New York International Fringe Festival in 2012, as well as a number of venues in Arkansas and Mississippi during a tour of the Southern US. Beep and Bop are siblings, a sister and brother respectively. We don’t know how they got to the city, but we get a glimpse into their daily lives. We are taken through their endearing wake-up routine, after which they are immediately faced with something so basic we can all relate to it: hunger. They do not have parents, so Beep takes on the mother role, pushing them to perform for the few dollars that allow them to barely survive. Where Beep is practical, Bop is imagination. Beep feeds their bellies, and Bop feeds their hearts. These two are caught in a world, this city, that does not care about them. No one is there to help them assimilate, so they create their own world to help them survive. "These two performers are well trained in what they do and have pure pleasure sharing their joy, warmth, melancholy and little discoveries. 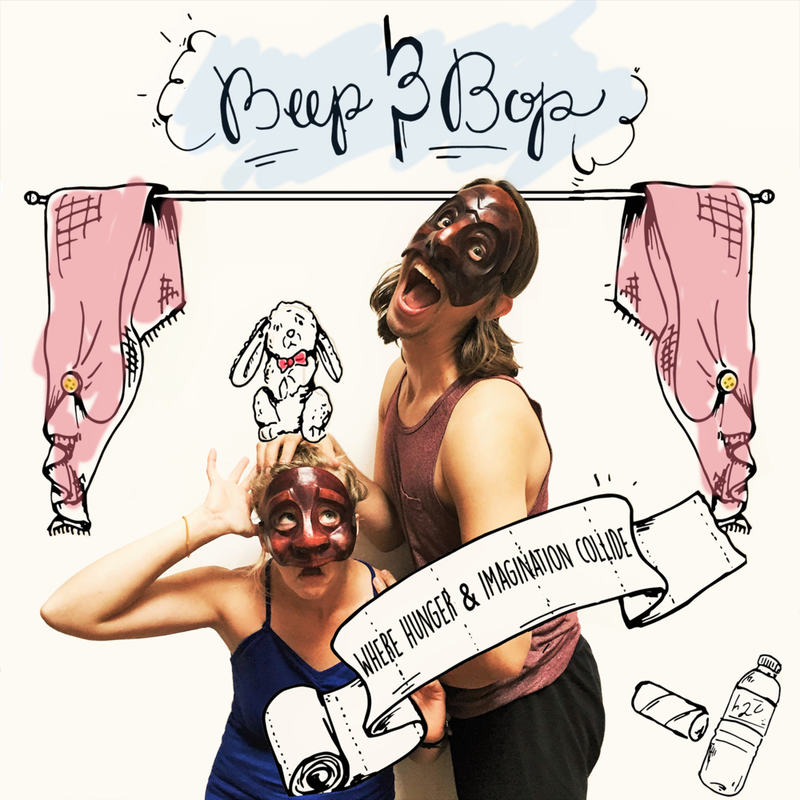 This is a show that would suit all ages – Beep & Bop’s humor is so infectious – it’s a show for everyone!" Cara begins her day the same way every time her cartridge is put into a game system. She is a beautiful princess on a picnic, who is kidnapped by an evil witch who wishes to steal her youth, and she waits in her cage until the hero comes to save her and share a kiss. Then it begins all over again. But, one day, the most dangerous thing that can happen to a female video game character happens – she has a thought. Her own, independent thought, that maybe things could be different. But what happens when a damsel in distress decides to rescue herself? What happens to the hero when she decides she doesn’t need him anymore? 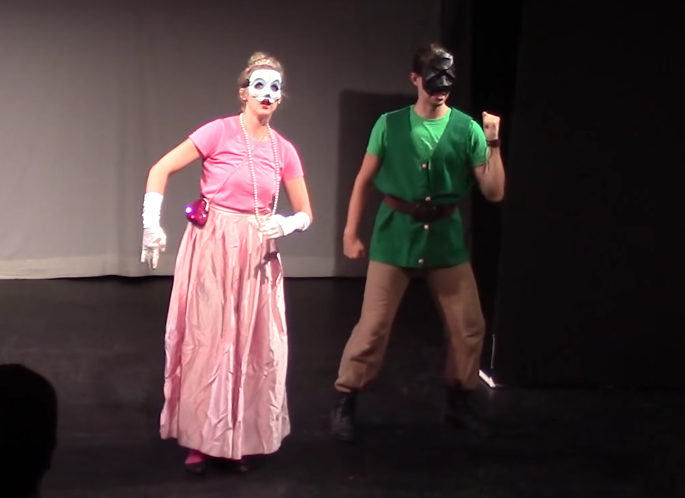 The audience, alongside Cara, Capitano, and Strega, must decide how the game will now play out, and who will dance the victory dance and beat the game. What happens when Pedrolino comes to the big city to follow his dreams? How can decisions be made in a board room full of Brighellas? If Dottore was reporting the news and his co-anchor was Zanni, could the news ever happen? If Capitano was running for President... should we all move to Canada? Can Colombina make it sandwiched between the working class and a boardroom of Brighellas? Will Strega figure out how to use her webcam? All will be revealed in one of Tut'Zanni's latest creations.